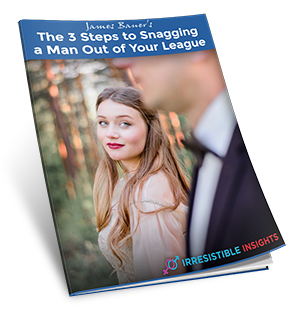 Attract the man of your dreams, even if he seems out of your league. Get access to ALL 66+ Irresistible Insider reports and get private coaching with experts. Try this 30-Day Trial for only $1 and get everything! 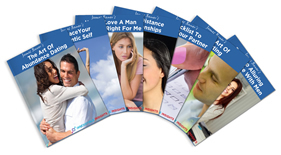 Bonus Details: I understand that with the Irresistible Insiders Program I’ll get access to 66+ additional reports and discover advanced training for attracting, connecting with, and committing the man of my dreams! I’ll also gain access to a private group where James and his team of relationship coaches answer MY questions and offer coaching and advice for my unique situation, and I’ll finally be part of a community of like-minded women so I can get feedback and support whenever I need it! I understand I will receive instant access to the Irresistible Insiders Program today for FREE. If I agree that this is an incredible value that’s improving my relationships tremendously, then I will be charged just $24.95 per month for continued access to new, life-changing reports every month, and 24/7 coaching and advice inside the private coaching community for as long as I decide to remain a member. And I can cancel any time simply clicking a button! You'll be getting a powerful advantage with the incredible information in Irresistible Insiders. Simply click the "Add to Cart Plus My $1 Trial" button below to make SURE you get access to it! Or you may click the link below to get without this optional bonus. If you have any questions about or the Irresistible Insiders Club don't hesistate to contact us. I look forward to hearing of your successes! P.S. - and the Irresistible Insiders Club are both protected by a Beirresistible 60-Day Money Back Guarantee, so there is no risk to purchase right now.